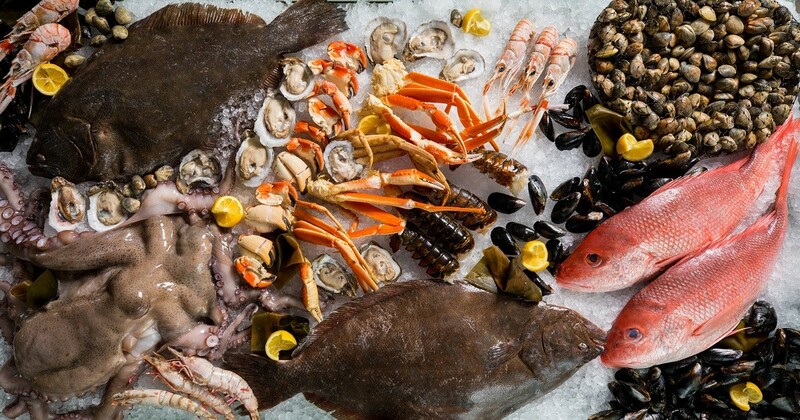 Seafood lovers, this month's for you. Photo courtesy of 1751 Sea and Bar. The saying “April showers bring May flowers” may work for other cities but here in Houston, April brings heat waves and restaurant openings. The numerous choices can be daunting but luckily for hungry Houstonians, this month’s Hit List narrows down the newcomers to the must-eat dining destinations. 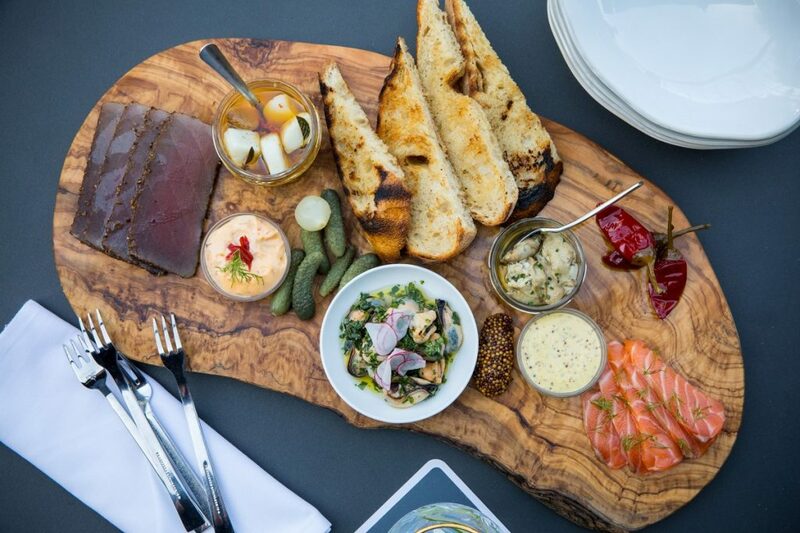 The fish charcuterie board at 1751 Sea and Bar. Photo by Shannon O’Hara Photography. 1751 Sea and Bar, 191 Heights: Sambrooks Management Company, the new restaurant group formed by the owners of the popular barbecue joint The Pit Room, has transformed the former Heights-area restaurant Star Fish into the completely remodeled 1751 Sea and Bar. Sambrooks’s culinary director Lyle Bento and 1751’s head chef J. D. Woodward have developed a seafood-lovers menu that includes Gulf oysters from the raw bar, New Zealand rainbow clams, uni, and the 1751 Charcuterie Board that features salmon gravlax, cured tuna, scallop conserva, pistou mussels, smoked oysters, and boquerones. Under the small plates, the crawfish soufflé and char siu pork belly are must haves, but save room for entrées such as the crispy snapper and the Tum Yum Hot Pot with lobster, langoustine, rock shrimp, New Zealand clams, mussels and scallops. The gin-focused cocktail program includes sip-worthy standouts such as the Gin Lane, a cocktail centered around rhubarb-infused Sipsmith gin, and the Storm’s End, which features apricot-infused ROXOR, a gin produced by Houston chef Robert Del Grande. Blood Bros. BBQ, 5425 Bellaire: From the moment it opened, business at the Wong brothers’ first brick-and-mortar barbecue restaurant has been brisk thanks to the cult-like following they cultivated with their pop-ups. Pitmaster and partner Quy Hoang’s oak- and pecan-smoked brisket, pork ribs, turkey and sausage are so popular that sell-outs are likely even before the 3 p.m. closing time. On Saturdays, be sure to get in line early for a chance to try a big beef rib with a side of roasted creamed corn. Blood Bros.’ intriguing east-meets-west daily specials include Smoked Turkey Bánh Mì and Thai Green Curry Boudin. 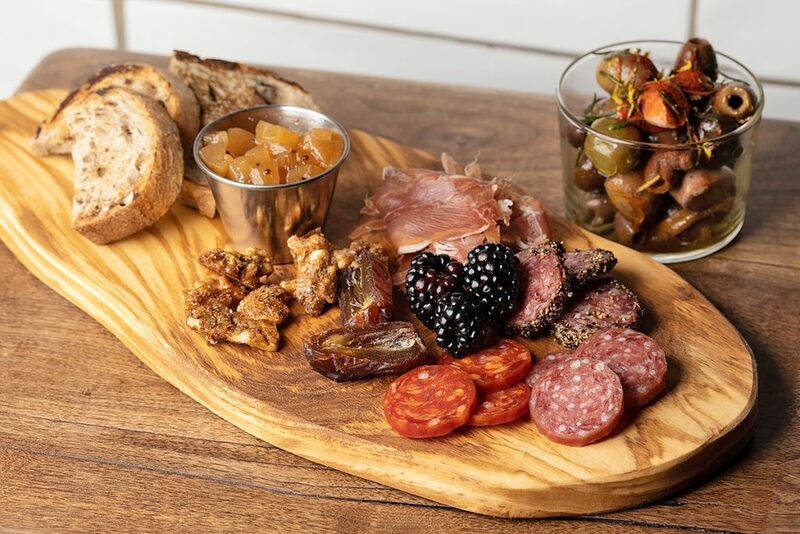 Bring a friend and nosh on this gorgeous charcuterie board at Decatur Bar & Pop-Up Factory. Photo by Shawn Chippendale. Decatur Bar & Pop-Up Factory, 2310 Decatur: This new restaurant from Adam Brackman and chef Monica Pope, partners in the original Beaver’s, brings Houstonians a lineup of rotating chefs-in-residence, offering each one the chance to build momentum for his or her own brick-and-mortar concept. The first chef showcased is Evelyn Garcia, a world-traveled chef who won an episode of Food Network’s “Chopped” and has hosted frequent pop-ups around Houston. Decatur offers walk-in service for light bites and a full bar Tuesday through Sunday and tasting menus every Friday and Saturday, $65 per person, seatings are at 6 and 8:30 p.m. At the bar, Leslie Krockenberger has curated a beverage program with a unique selection of wines, beer, and cocktails such as the Red Silk Smoking Jacket made with Monkey Shoulder whisky, white port, Granada-Vallet, rhuby molasses, Angostura bitters and a smoked spice mix. Kubo’s Sushi and Washoku, 1902 Washington: It has been a little over two years since their popular Rice Village location closed, but Kubo’s has returned with a slightly modified name: Kubo’s Sushi and Washoku. It’s now next door to Tacodeli. Under the helm of Yoichi Ueno, the traditional kaiseki-style menu features shareable small plates, entrée (some for duo diners), sushi rolls and sashimi. Familiar items like the Kubo’s Roll — shrimp tempura and spicy mayo topped with fresh salmon, avocado, eel and tobiko — work nicely alongside new well-executed dishes such as the Hassan (chef’s choice of seven appetizers) and the kamo rosu (roasted duck). We also recommend leaving room for dessert and ordering the Red Bean and Matcha. Perry’s famous pork chops can now be eaten inside the loop. Photo courtesy of Perry’s Steakhouse & Grille. Perry’s Steakhouse & Grille River Oaks, 1997 West Gray: The popular, Houston-based steakhouse chain opened its first-ever location inside the Loop. 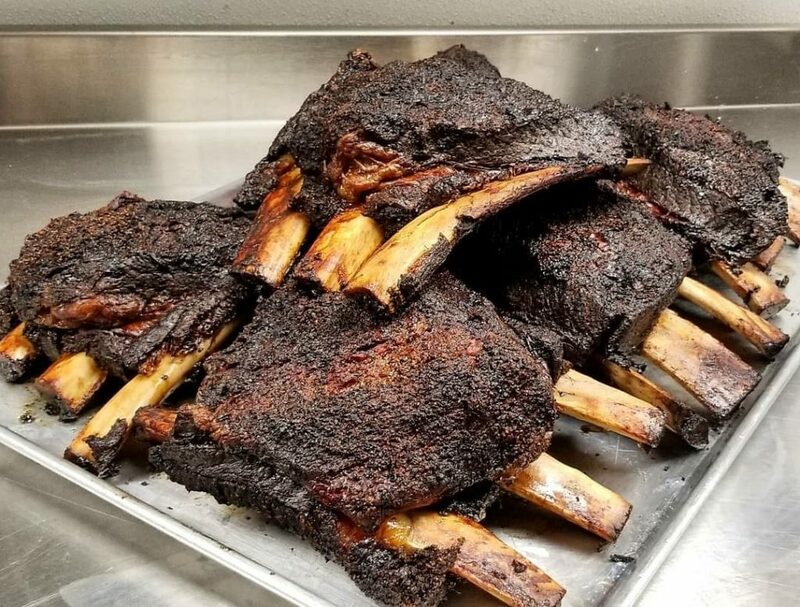 Diners can expect familiar dishes such as Perry’s Signature Fried Asparagus and ample, bone-in meat cuts including the 32-ounce Tomahawk ribeye and the double cut lamb chops. On the Bar 79 menu, you will find small plates such as Perry’s Famous Pork Chop “Bites” and Sliders 79. Waffles lovers rejoice. Photo courtesy of Taste Bar + Kitchen. Taste Bar + Kitchen, 3015 Bagby: From the team of chef Don Bowie and entrepreneur Kevin Kelley, comes Taste Bar + Kitchen, which offers elevated comfort food in the midtown space formerly occupied by Sterling House. 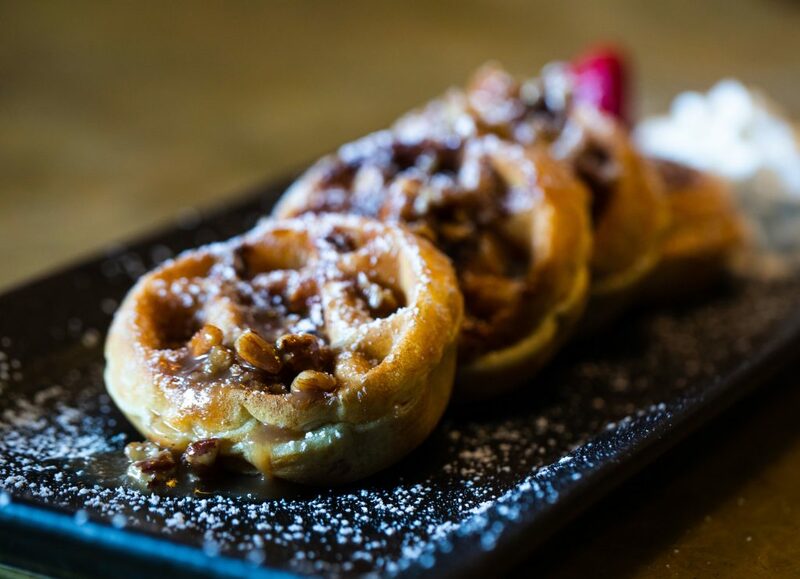 The menu is dedicated to the classic duo of chicken and waffles and includes choices such as General Tso’s Chicken & Waffles; Jerk Chicken and Waffles made with Jamaican-inspired spices; and the hearty Cheeseburger Waffle stuffed with ground beef, Gouda and cheddar. 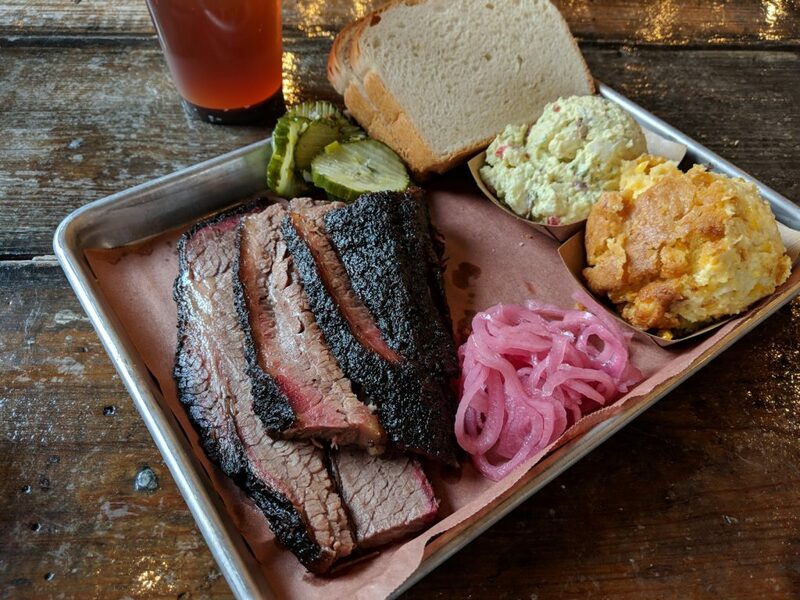 Truth BBQ, 110 South Heights: Truth BBQ, which started with a modest outpost in Brenham, opened its highly-anticipated Houston location on Heights Boulevard, where pitmaster Leonard Botello IV can serve Houstonians his highly praised barbecue. When visiting the new, spacious restaurant, expect to wait in line (or plan to arrive at 10:30 or 1:30) and don’t be disappointed if an item is sold out. There are plenty of palate-satisfying options, such at the melt-in-your-mouth brisket, the Saturday-only beef ribs and the jalapeño cheddar sausage. Be sure to also indulge in decadent sides such as corn pudding, macaroni and cheese with bacon and lush collard greens simmered with smoked meat. Furthermore, leave room for a tall slice of excellent, diner-style cake made by Botello’s mom. The carrot cake is especially pleasing. Kobe Cubes at Uptown Sushi. Photo courtesy of Uptown Sushi. Uptown Sushi, 1131 Uptown Park: A staple in the Galleria area, Uptown Sushi closed its doors in September for a major revamp of both the space and the menu. It reopened at the end of February, revealing a brighter, sleeker space. 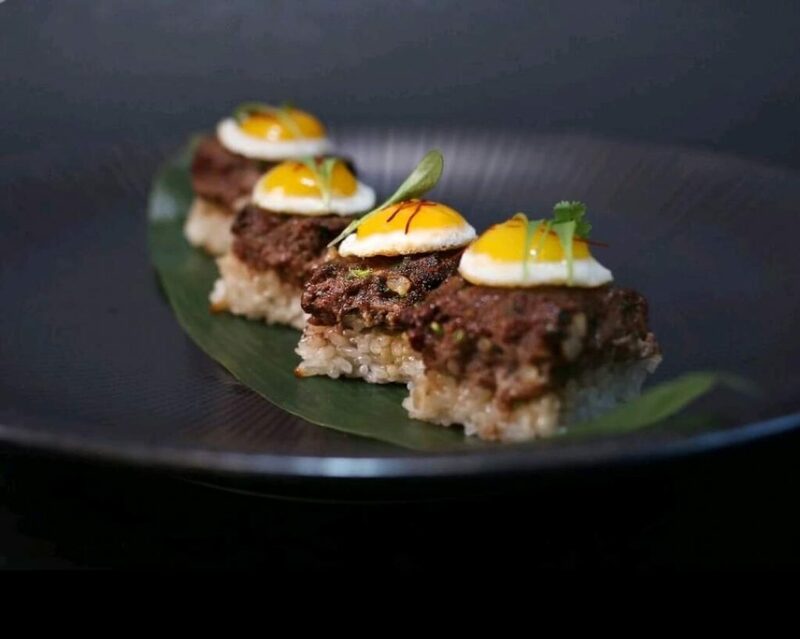 While the current plans retain many of Donald Chang’s popular menu items such as Kobe Cubes, marinated Kobe beef served over crispy rice and topped with a quail egg, previously “off-menu” dishes such as chicken wings, AK Bites and the tuna tataki are now regular offerings. Expect additional new dishes along with a new cocktail menu in the coming months. 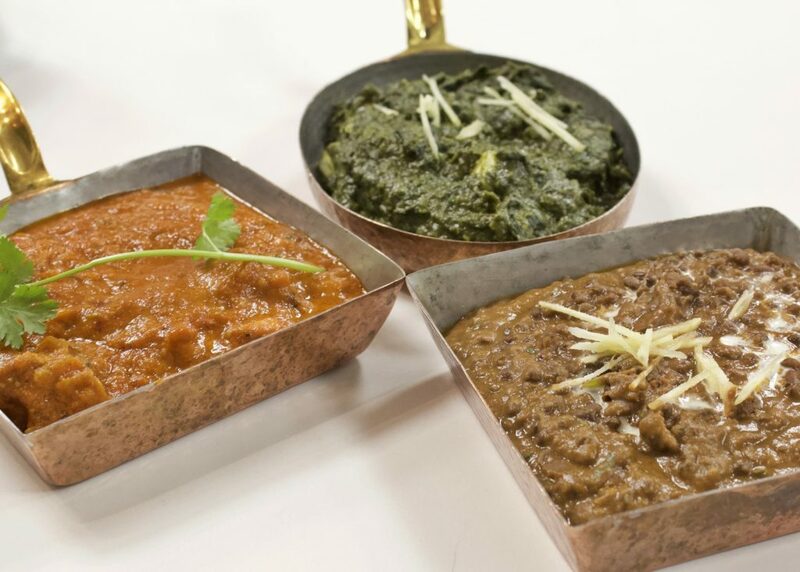 Verandah Progressive Indian Cuisine, 3300 Kirby: Verandah, which recently opened in the upscale Kirby Collection, is offering Indian food lovers an elevated dining experience. Fans of chef/owners Sunil and Anupama Srivastava (of Great W’Kana Café and W’Kana Express) know to expect culinary excellence from the husband-and-wife team. On the menu, Roasted Plantain Kebabs and the Tandori appetizer platter sit alongside traditional dishes such as Biryani Chicken, prepared using the dum pukht method of cooking the rice, meat, sauce and spices in a heavy-bottomed pot sealed with a dough lid. Food writer Carlos Brandon sampled the menu last month and cites the butter chicken and the chutney sampler as can’t-miss dishes. Vegan delights at Verdine. Photo courtesy of Verdine. 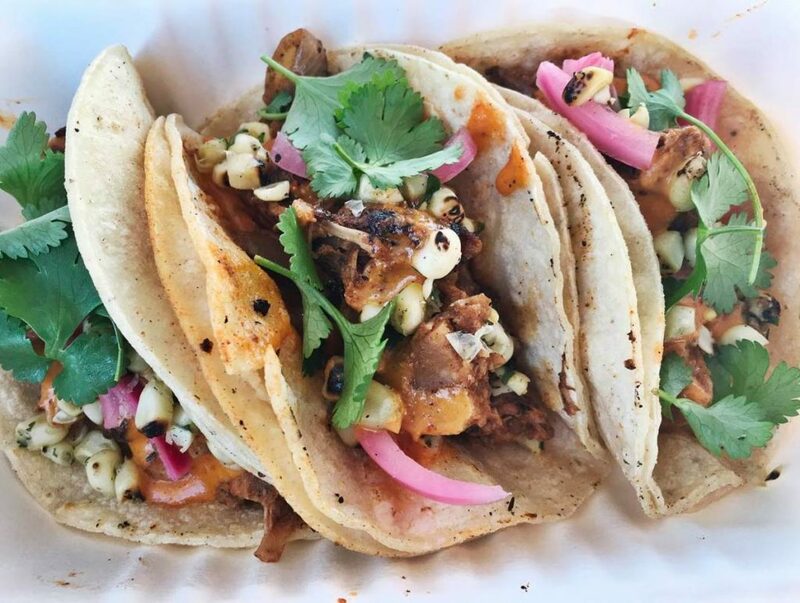 Verdine, 449 West 19th: Chef Stephanie Hoban has converted the success of Ripe Cuisine — her popular vegan food truck, which can usually be found at Urban Harvest’s Saturday Farmers Market — into a brick-and-mortar location in the new Heights Waterworks. The vegan offerings are already drawing big crowds so get there early if you want to try the dishes. A case in point: the first Saturday of business, the restaurant completely sold out of food by 1:30 p.m. The 100% plant-based menu blends seasonal ingredients with international flavors, delivering an array of options that just might satisfy the most hardened meat and cheese lovers. Try the Bistro Burger made with an organic lentil-walnut-mushroom patty topped a with roasted red pepper aioli, arugula, tomato, dill pickles, cashew ‘chèvre’, caramelized onions all served on a locally made wheat bun or the mac n cheese made with a nut-free vegetable-based cheese sauce, gluten-free pasta, and quinoa crumbs. The beverage menu features sustainable, organic or natural wines such as Trere ‘Re Famoso’ White Blend, Ravenna 2017, Aberrant Cellars ‘Confero’ Pinot Noir, 2015 and beer from local breweries like Eureka Heights and 8th Wonder. Coming Soon: We have our eyes on Lotti Dotti, the new venture from chef Adam Dorris; Toukei, the latest eatery from Mike Tran and the River Oaks District seafood duo of Loch Bar and Ouzo Bay.